The Mirage PRO and/or PROOF can only used with an existing valid Mirage License. A License for Mirage 4 is required. The PRO Extension: Mirage Pro is the professional extension to the Mirage Master- & Premium Edition. The Mirage Pro extension adds support for the Epson SpectroProofer device to enable creation of ICC color profiles with ease. The Mirage Pro wizard will automatically layout and print the measurement color patches, dry the print with the SpectroProofer’s built in fan, measure the color patches utilizing SpectroProofer’s x-rite measurement device and create professional ICC profiles for you. 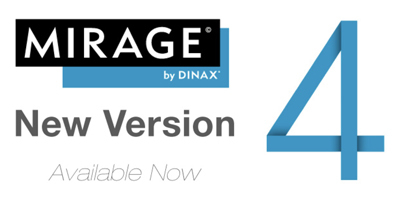 With Mirage 1.6 we have added great new features to the “Mirage Pro Extension”. The “Mirage Pro Extension” is the simplest way ever to create professional ICC profiles utilizing the Epson SpectroProofer or the Canon Spectrophotometer device! Thanks to cut sheet support on EPSON printers, the PRO Extension allows you to utilize any SpectroProofer device to create individual RGB ICC profiles for any other printer* that is supported by Mirage* (i.e. : print your target on an 11880, 3880, 9800… and measure the target with a SpectroProofer that is attached to a 4900, 7890, 7900, 9890 or a 9900). Just follow the easy steps of the wizard in the Mirage “Settings” menu under “Custom Media”, “Add new Media”. For the PROOF Extension: no longer just for professionals, now available for everyone! Mirage offers true proofs. You can create proofs with Mirage using Adobe© Photoshop© and Mirage’s stand-alone application. To use the Mirage PROOF extension, you will require a license and a supported measurement device to evaluate the measurement results.that are easy to use and inexpensive. Naturally, the software required to assess measurement results is included in this package. The Mirage PROOF extension offers both photographers and agencies the ideal print-proof solution, based on Fogra-certified ISO standards. And best of all, it is not simply a proofingsolution – the complete Mirage package gives you everything you need to produce prints professionally. Mirage PROOF allows proofs to be printed using any desired suitable proof media and compatible printers. The following media have been granted Fogra certification as Contract Proofing Systems (Certificate No. 26220): Epson Standard Proofin Paper with the following printers (using the manufacturer’s ink): Epson Stylus Photo R3000, Epson Stylus Pro: 3880, 4900, 7890, 9890, 7900, 9900 and 11880.